This is the tallest rock stack I have ever been able to accomplish. My mom has always been a big rock stacker, and I totally got the love of the difficult task from her. 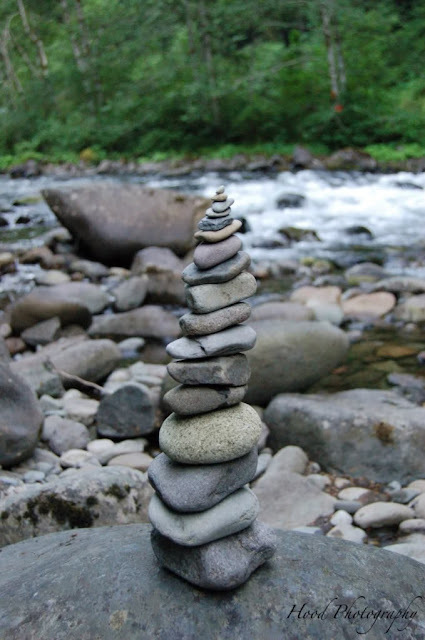 Rock stacking is soothing and a great way to really take in the nature and environment around you. It's better than anything I could do. That's a great stack, mine topple at half that height. That's terrific! And most definitely better than anything I could do! Great post for the Z Day! Hope your week is going well! Zoning the ABC, please come and see. Zen is a perfect choice for Z day, and I love the photo of your stacked rocks. It's soothing just to look at it. Love this. Must be meditative to create one. That looks like the tower of Pisa... Its tall n beautifully done. Lovely shot. Neat! I didn't know people did this. Thanks for sharing! I always think I'm going to to that but I never remember to! There are quite of few of these over at Red Rock State park in AZ. Beautiful photo.